The administrators of every Catholic education office in New South Wales have warned Malcolm Turnbull that the future of their low-fee schools is at risk due to the Government’s funding policy. Source: The Australian. The decision by the 550 NSW Catholic schools — representing 220,000 students and their parents — to join Victoria in a political campaign against the Government marks a significant escalation in the sector’s fight against the Gonski 2.0 funding package and follows warnings last month that enrolments were falling as a result. The Australian understands that two senior cabinet ministers have recently raised concerns with the Prime Minister that the issue is becoming electoral poison for the Coalition and urged Mr Turnbull to direct Education Minister Simon Birmingham to find an urgent resolution to the issue. 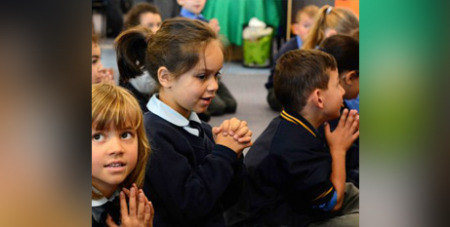 In a meeting of the National Catholic Education Commission last week, every state agreed that it would support a national campaign on the issue at the next federal election. Catholic Schools NSW yesterday sent a letter signed by the directors and executive heads of the 12 dioceses in the state to Mr Turnbull and Senator Birmingham, warning that the new funding model would be disastrous for NSW schools and in particular low-fee primary schools. “The model represents a major disturbance of settled policy on school choice in Australia,” said the letter, obtained by The Australian. “The existence of low-fee Catholic schools as an affordable alternative to government schools in some communities is now at risk. If these concerns are not addressed, Catholic education will no longer be able to guarantee affordable schools in many areas, alongside government schools. Senator Birmingham has consistently rejected the Catholic schools’ complaint that they are being short-changed in the funding deal. He said last night that, from his many conversations with Catholic education authorities, he was confident they would continue to engage with the review of the funding system, which had delivered a 4 per cent-per-student average annual funding boost for Catholic schools.